Sometimes the mere mention of the word “beige” at the paint store elicits a yawn (or grimace) from some of our customers but just like a little black dress, a great neutral paint colour never goes out of style (think classic NOT boring). Plus it works with almost anything so it’s the perfect choice if you love to change your decor and accessories frequently. One of my favourites is Benjamin Moore Bleeker Beige from the Historical Colors collection. It’s not washed out or wimpy and pairs beautifully with medium to dark toned woods and crisp white ceilings/trim. Use it throughout your entire home and punch up with accent colours like warm red and green or cool navy or violet. If you have a variety of flooring in your home (combination of tile and wood) a great neutral throughout will help to tie your spaces together. It’s also a great background colour for artwork both traditional and modern. Add rich leather leather furniture for comfort and a soft blanket in a creamy shade for texture. 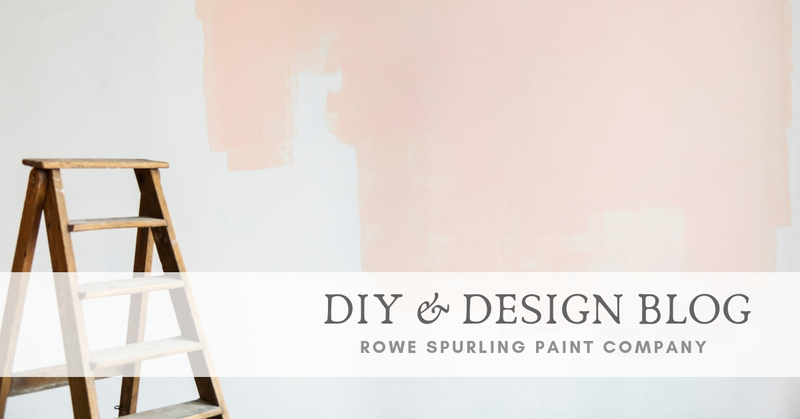 There are so many things you can do with a great neutral wall paint colour so here are some ideas I found on Houzz to get you started! Looking for more great neutral wall paint colour ideas? Click here to check out my other post – “Neutrals That Are Anything But Boring”. I also love Bleeker Beige and have used it throughout my living room and kitchen. I’d like to use a blue for an accent color in the kitchen, but I am having a hard time finding one that feels light and airy, while coordinating with the Bleeker Beige. Any ieas? Bleeker Beige has a grey undertone so look for blues that also look a little “muddy” and that have a bit more depth to stand up to a rich beige like Bleeker. For a lighter feel try Benjamin Moore Blue Porcelain 1641, Blue Stream 1668, Paradiso 717 or Summer Shower 2135-60. Thank you for visiting our blog and have a great weekend! Hi, love your site and helpful tips! All of the trim in my home is Bleeker Beige including the wainscoting and pillars. I’m having trouble choosing a wall color in my open floor plan great room, dining area, kitchen and hall way. The room is two story vaulted with double story windows on the north and east walls so I get full morning sun and natural light. My kitchen cabinets are a medium maple and wood floors look a little orange. My new furniture fabrics are various shades of taupe, greys. I prefer a softer look and have considered just painting the walls a flat matte of the Bleeker beige. I wanted some variation though and don’t love the grey colors with it. Any advice please? Good morning Kim. Thank you for visiting our blog. I think if you paint the walls and trim the same colour the room may look a bit flat. Have you tried Manchester Tan? It’s along the same lines as Bleeker Beige but a bit lighter. It will work with maple tones and will balance out the orange in your floor. It’s also not too grey. By the sounds of your space it looks like you have a large room with a lot of light so it can handle a more saturated colour. Before making a commitment on the walls, try a sample painted on a board and move it around the room. Also make sure you look at it in different lights at various times of day. Hope this helps! Enjoy your Sunday! You’re right. I think against a Bleeker Beige trim an off white wall will look very washed out and imbalanced. If you’re looking for a grey I would suggest a warmer tone like Gray Owl, Intense White or York Gray. I painted my bedroom walls lighter than the Bleeker beige. Although I love it, I think it’s going to be too light in my entire great room. When you suggest a more saturated color – do you mean darker? I like darker but am having a problem finding that grey taupe that goes with my trim, wood and tile! Hello Kinberly. A morel saturated colour will not only be darker but richer (not as grey). Because your Bleeker Beige has a touch of gold in it take a look at Sandy Hook Gray or Finnie Gray. Glad it looks like a winner. It’s always a good idea to get a sample and try it at home since light always changes the colour. Have a great weekend! Both of these colors undertones seem to work really well with the fixed elements in the great room! The Sandy Hook Grey seems a little ” dark” for the massive amount of vaulted walls and “green” for my fabrics. We thought Finney Grey was the color as it looked great on the sample board w everything! Problem is we’ve had it up on different areas of the walls all around the rooms and it looks like a chalky grey color. My husband asked my if there was a Finney Greige?!? We are perplexed and not sure which direction to go now! It honestly seems like this is the best color until it’s up on the walls. If you like the Sandy Hook Grey but find it’s too dark as the paint shop to mix you a colour that’s 10% lights. They should be able to do that pretty quickly on the computer. You might also want to look at Winterwood 1486. For a “greigier” Finnie Gray try Rocky Beack CSP-190. It can only be made in Aura paints but since it doesn’t use any black tint in the formula it may not look as chalky grey. Back to the local paint store! Sure wish you were closer! Lol. Many thanks! Love this blog. Found last night and rushed to my local BM store to look at Bleeker. I love but may be to dark. i have a complete open floor plan where my living room area is connected to my kitchen. It was built in 2014 and we inherited the builder version of beigh. It carries from kitchen all the way upstairs and hall leading to rooms. We just purchased new furniture so time to paint. i want to use a lighter color than bleeker and compliment the adjoining kitchen a different color. I’m not sure what would be a good kitchen color with a ligher beigh. cabinets are a cherry color with earth tone backsplash. Looking for any help. Thank you for visiting! If you like Bleeker Beige but think it’s going to be too dark (remember paint colours always look darker on the wall) then I would either ask the paint store to mix you the colour but 25% lighter or try a shade like Benjamin Moore Manchester Tan HC-81 or Jute AF-80. They both have the warmth of Bleeker Beige but are a bit lighter. For the kitchen, did you consider a nice earthy green? It will compliment both the earth tones and the cherry cabinets. You can probably go a little darker in the kitchen since most of the walls are probably covered by cabinets and appliances. Some good choices are Benjamin Moore Cheyenne Green 1502, Tree Moss 508 or Elemental AF-400. I would suggest trying a tester pint of each and painting out a sample board before you make a commitment to see how it looks in your space with your finishes. Hope this helps and good luck! Thanks! It can get pretty overwhelming with all those paint colours so we try to help however we can. Good luck!